...and he’s on it: Follow RHR Into Battle Against "The Big C"
Follow RHR Into Battle Against "The Big C"
Hey, tweeps, Ryan Hunter-Reay could use a hand. 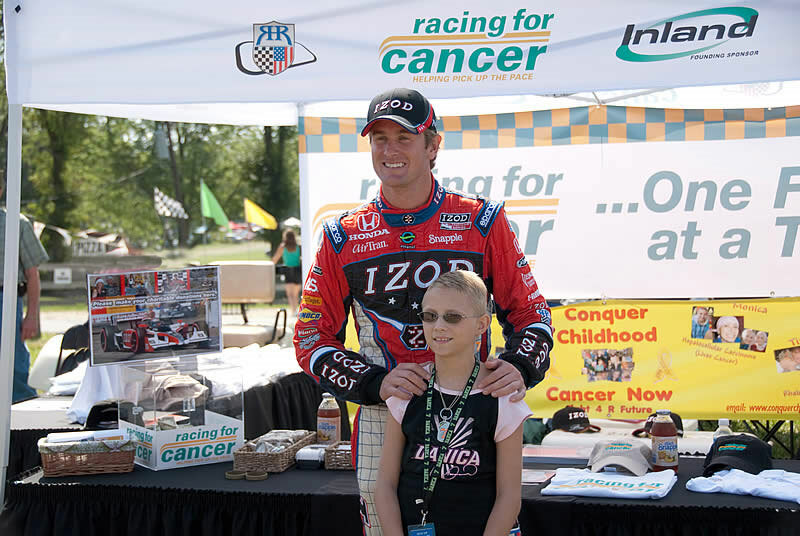 In honor of his mother, Lydia, who died from cancer in 2009, Hunter-Reay has, admirably, taken on the roll of global ambassador for Racing for Cancer—a nonprofit established to help battle the disease. As a result, the group's founding sponsor, Inland Industrial Services Group, has pledged to donate $10,000 if RHR can reach 10,000 Twitter followers by October 2nd—a lofty goal, perhaps, but highly doable. Here's where you play the hero: if you're not already following @RyanHunterReay (you should be anyway), please do so and, while you're at it, urge your own tweeps to do the same. It costs absolutely nothing and could go a long way toward giving "The Big C" the beat-down it so properly deserves.